Morning Glory Address Plaque. 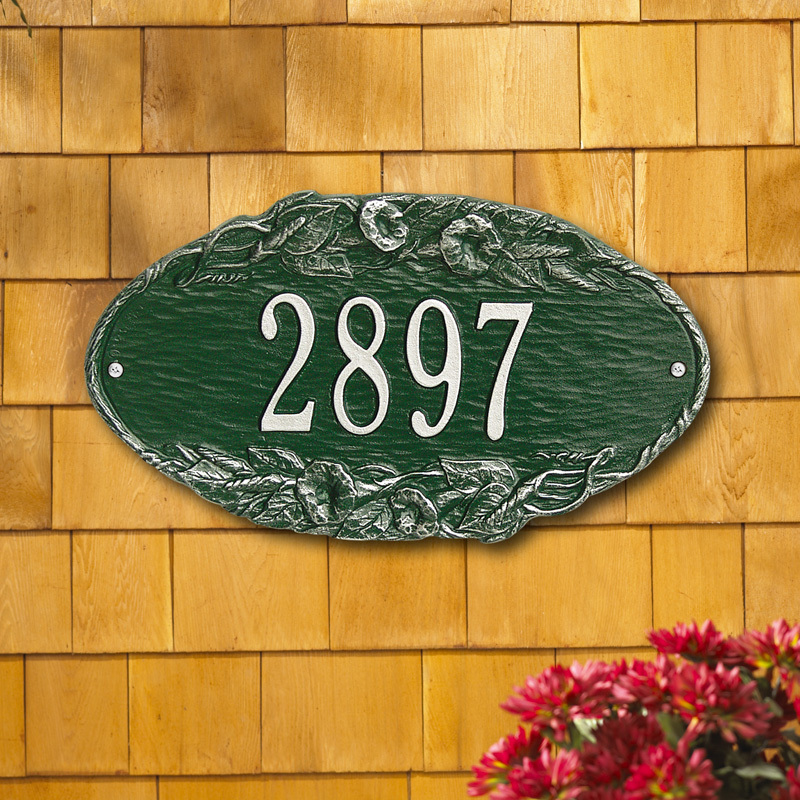 Our Morning Glory Address Plaque measures measures 13.5" x 7.75" and holds up to five 3" Characters or seven 2" Characters. Made from recycled aluminum - please allow 3 weeks for delivery. Made in the USA.